Two participants put giant, flesh colored, foam filled body suits on. When the refree starts the match, the two competitors push, pull, trip and grab trying to bring their opponent to the floor. 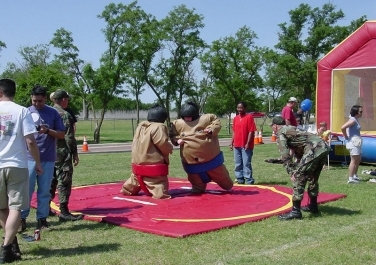 The participants are transformed into lifelike overweight bloated sumo wrestlers. Laughter is always the end result.